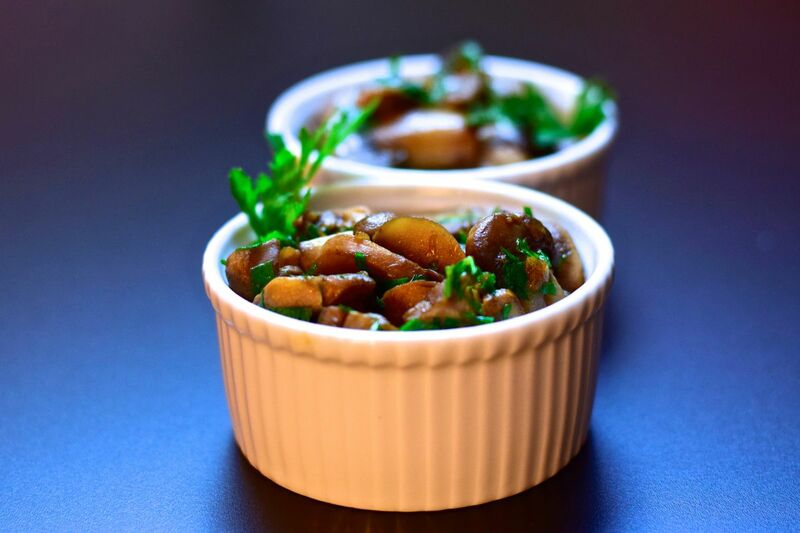 Here is a nice little Spanish tapa to accompany your Spanish tortilla or to make any time you have a lot of mushrooms. This makes an excellent bruschetta topping as well – especially if you top it with a curl of Manchego cheese! Place large saute pan over medium heat and add the olive oil. When the oil is hot, add the mushrooms and garlic, season lightly with sea salt, and saute until the mushrooms soften and release their liquid. Continue to saute until most of the liquid evaporates, then add the sherry and saute for 1 more minute. Season with salt to taste. Sprinkle with chopped fresh parsley before serving. To make bruschetta, toast rounds of baguette or other bread until crisp (or you can use crackers to make cute canapes). Brush with good olive oil (unless using crackers, then you don’t need this). Top with mushrooms. Sprinkle with fresh parsley. Add a curl or thin slice of Manchego. This is a radish*rose recipe adapted from The Essential New York Times Cookbook: Classic Recipes for a New Century . All images & content are copyright protected. All rights reserved. Please do not use my images without prior permission. If you want to republish a recipe, please credit radish*rose and link back to the recipe. Disclosure: radish*rose is an Amazon.com affiliate. Purchases made through links in this post may earn a commission for radish*rose. please follow and like radish*rose!